Van Chay Beach is 6 km far away from the centre of the town. 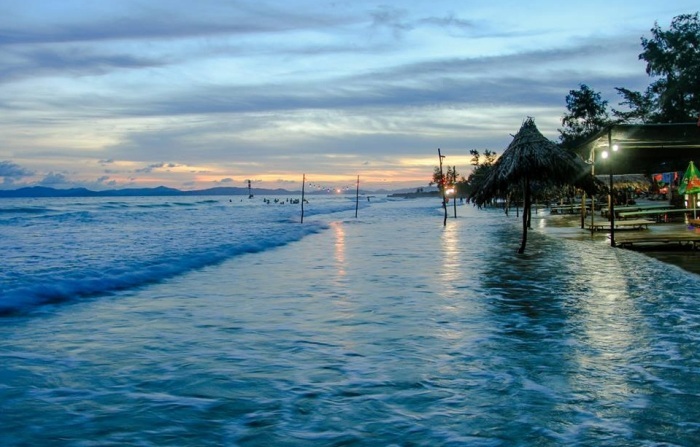 It is consider as the most beautiful beach of Co To, attracting most tourists coming to the Island. Van Chay Beach has big waves, long white sands, blue water and still keeps its pristine. You should contemplate dawn and sunset on this beach because it is wonderful and brings you a sense of peace. This is also an ideal place to do a barbecue, to go picnic or to sleep overnight by the sea and welcome the dawn of next morning. 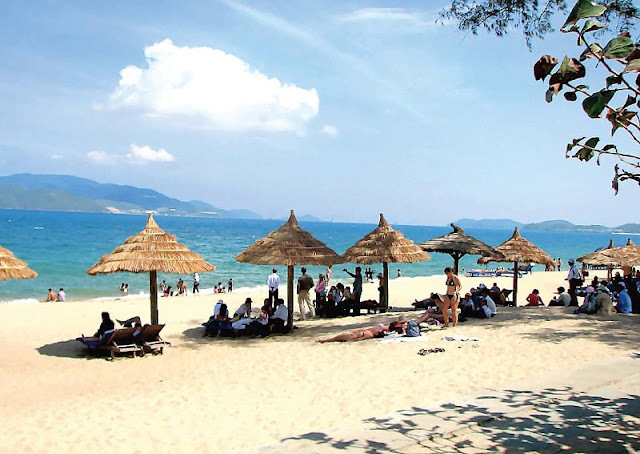 In comparison with other beaches, Ngoc Vung Beach is quite far from the harbor. It has large space and its water is blue and emerald around a year. About 34 kilometers far from the harbor, this island is located to the south of Ngoc Vung Island. Under the sun beans, Ngoc Vung Beach looks so beautiful. The seafood there also is very fresh and delicious provided by the locals. Belonging to Bai Tu Long Bay, between Minh Chau and Quan Lan communes, Van Don district, Quang Ninh city, it is a new beach of Halong. The environment there is so clean, fresh and peaceful. It is almost nontouristic with a long sandy beach in few of kilometers. Under the water face, there are a lot of sea plants. Visiting this island, you will have a truly amazing experience for your vacation. In 1962, President Ho Chi Minh and the Russian astronaut Germane Ti Top came to this beach. Hence its name Ti Top. At present, there has a bar in the island, which also provides swimming costumes, floats, and lukewarm shower. Fresh water was carried to the island from inland. The Ti Top Beach has become a popular tourist destination. Minh Chau is a very beautiful famous beach in Halong Bay. You can go camping at the beach overnight. It is sure an unforgettable memory for your friends and family. 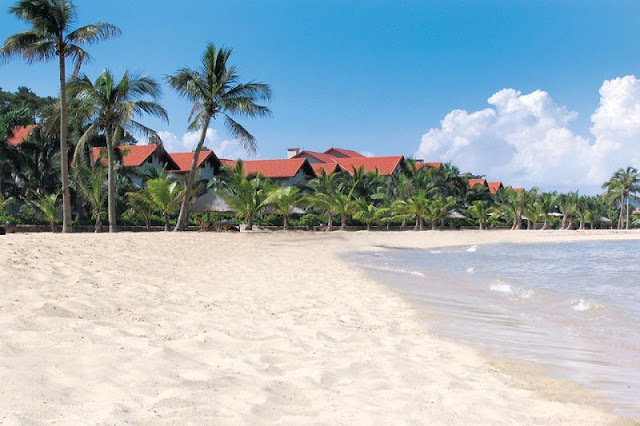 To travel to Minh Chau beach, you should go from Cam Pha, by Tai Xa ferry to Cai Rong Town. The ship from Cai Rong will take you to Quan Lan Island and then you will go to Minh Chau. It takes you about 3 hours to travel there. 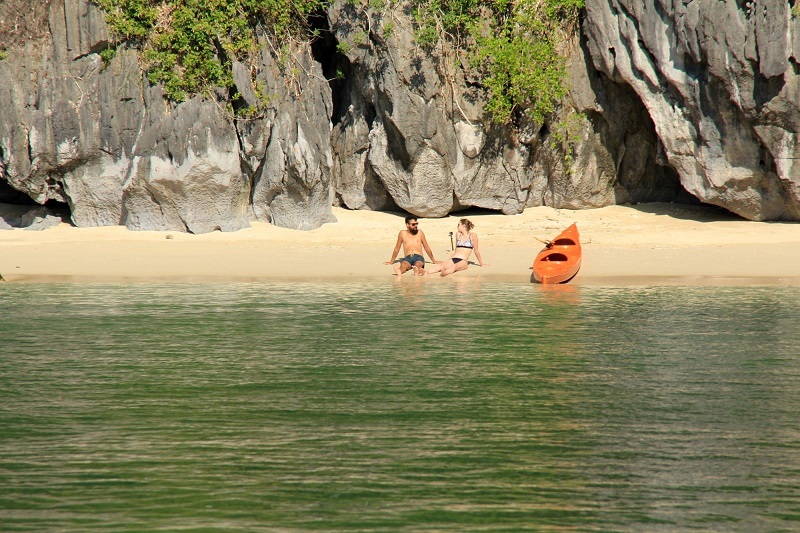 From the harbor, it takes you about 10 hours to travel by canoes to this beach. Normally, tourists only can come to this beach from 2 to 3 hours because most of the time the beach is under the water. However, it is worthy for you to visit this beach once-in-life. 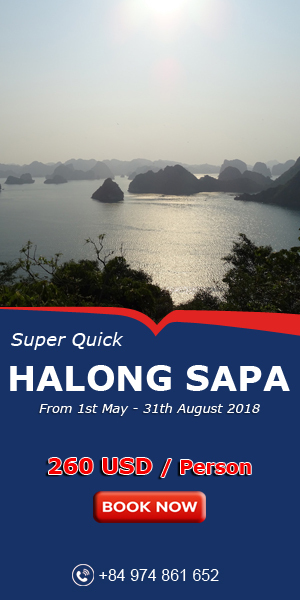 If you choose a Halong Bay overnight cruise, you also may have a chance to visit this beach because it is one of the destinations on their cruise itinerary. Legend has it that when the fleet carrying food for the Yuan-Mongolian invaders led by Truong Van Ho came there, the Vietnamese troops and locals under the leadership of Tran Khanh Du set fire to it. The whole fleet was engulfed in fire. Meanwhile, the northeast wind blew hard and further added fuel to it. The fire was so fierce that it burned down the forest in the western side of Cua Luc. The name Bai Chay then came into popular. Another legend has it that the western side of Cua Luc used to be a wharf for seagoing boats. Acorn-barnacles firmly attached to these boats’ sides and underneath, and might wreck the boats. The local people had to use casuarinas leaves to burn acorn-barnacles. From Hon Gai and other neighboring places, people always see a blaze from there, so they called it Bai Chay. 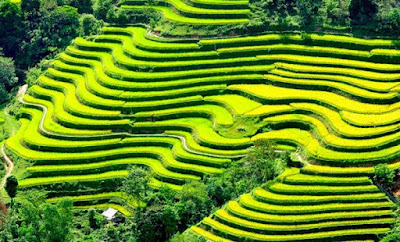 Today, Bai Chay is a well-know tourists attraction with qualified services, which can meet the increasing demand of visitors. 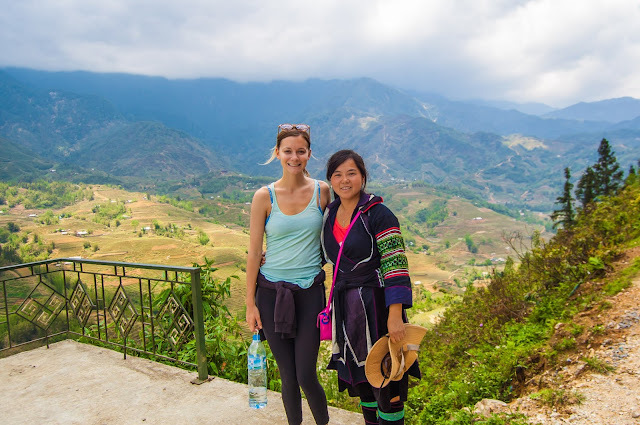 From Bai Chay, it is also convenient to visit other tourist attractions nearby such as Halong Bay, Bai Tu Long Bay, Quan Lan island, and other captivating islands and beaches. It is a very nice beach at Tuan Chau Tourism Area, about 8 kilometers from the harbor. This is a beautiful human-made beach of Halong. 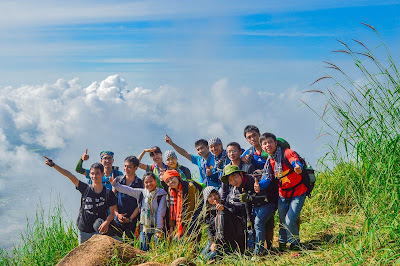 Coming here, you can enjoy the beauty of the bay and experience in a number of entertainment activities such as climbing, camping or relax at resorts. 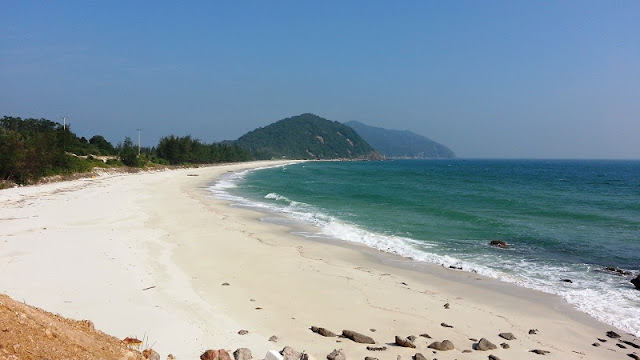 Located at the root of Soi Sim Island, Soi Sim Beach is about 10 kilometers far from Bai Chay. 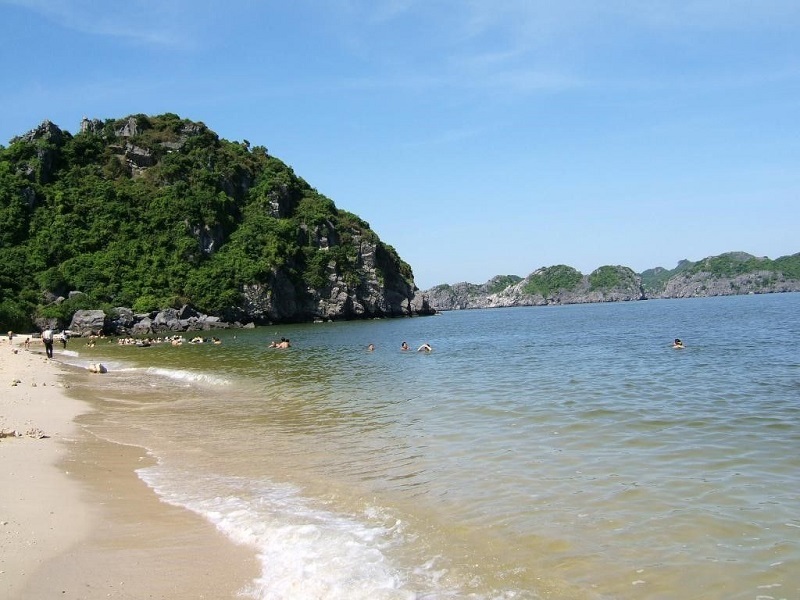 This is a very long white sandy beach for tourists to relax and enjoy the swimming time in Halong Bay. This area is quite peaceful with tranquil and blue water. From the water face, you can easily see groups of small fishes swimming under the emerald water. 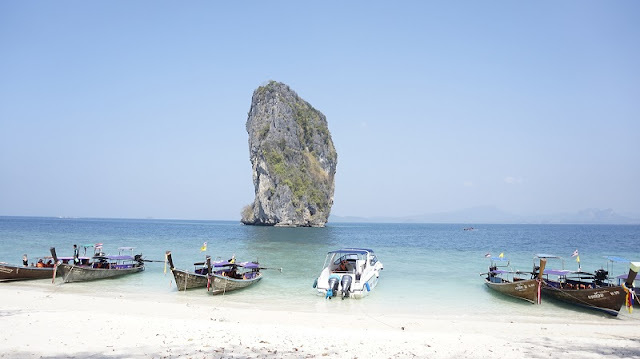 Soi Sim Beach is also known as one of the ideal places for diving. In addition, Soi Sim Island also has a good position to enjoy the beauty of Halong Bay from above. From the top of the island, you can see the fabulous view of Halong Bay both to the northeast and southwest. Following each stone steps to the top of Soi Sim island, you will have an amazing experience here.